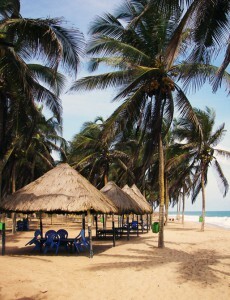 Atlantic Lodge is situated at Cocobeach, Avepozo. The idyllic beach with its whispering palmtrees has a calm atmosphere and is great for relaxation, swimming, having a cool drink while enjoying the sunset. 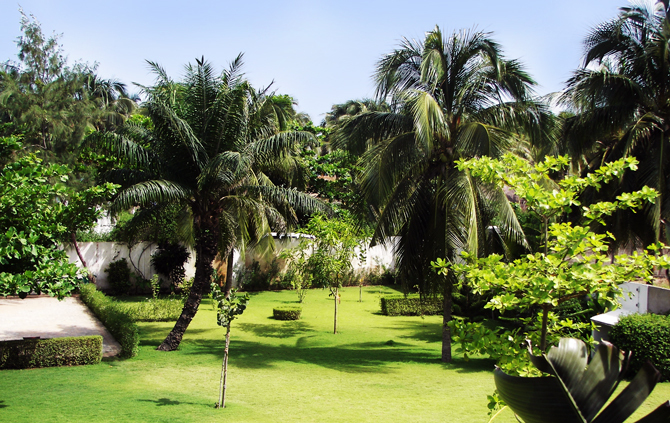 Atlantic Lodge has a beautiful garden providing a time out in a peaceful environment amidst lush green trees. The upstairs terraces gives you a spectacular view to the endless ocean. Sunbeds are available, so are a wide selection of literature from our reading collection. We are a five bedroom accomodation. All rooms are airconditioned with private bathrooms. Our services include airport pick up and drop off, transportation within the coastal region and assistance for excursions in Togo. The caretaker will assist in making your stay enjoyable.